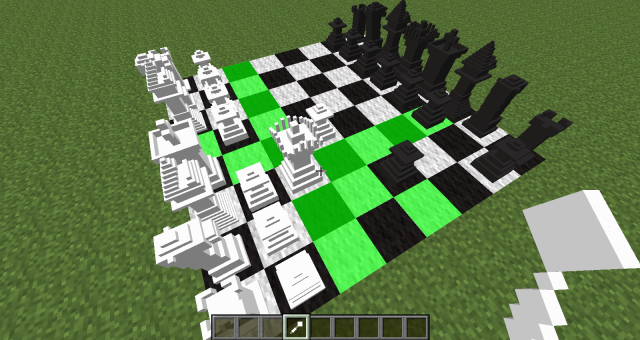 This is chess in Minecraft! And this chess isn't just the ordinary chess, this is MineChess! It's like the Harry Potter style of chess. The pieces live, and 'capturing' a piece is more violent than the capturing you're used to with chess. This mod includes special moves like pawn promotion, castling and 'En Passant'. It also includes AI! Hi, I'd like to request your mod to be added to the FTB Permission List, but can't do because your mod seems to be missing the mcmod.info file* (which includes the mod id). Could you be so kind to update your mod on that department?